This right was at the center of the CFE v. State complaint filed in 1993 which asserted that New York State was failing in its constitutional duty to provide the opportunity for a sound basic education to hundreds of thousands of its schoolchildren. In a landmark 1995 decision, the Court of Appeals distinguished its Levittown ruling and remanded the case for trial. After a seven-month trial, Justice Leland DeGrasse rendered his decision, 719 NYS 2d 475, on January 10, 2001 in favor of plaintiffs and ordered the State to ensure that all public schools provide the opportunity for a sound basic education to their students. This decision also ordered a costing-out study as the threshold task in developing a new school funding system. [D]etermine the cost of providing a sound basic education fund those costs in each school, and establish an “accountability” system to ensure that the reforms actually provide the opportunity for a sound basic education. Provide an additional $5.63 billion for annual operating aid, phased in over a four-year period; undertake a new cost study every four years to determine the cost of a sound basic education; provide an additional $9.2 billion, phased in over a five-year period, for building, renovating, and leasing facilities, in accordance with plaintiffs’ BRICKS Plan. These recommendations were limited by the CFE II decision to New York City, but the panel concurred with all parties in their agreement that the legislature would be well-advised to extent similar benefits to high need districts throughout the state. In March 2005, the trial court confirmed the special masters’ report and recommendations and ordered the state to comply within 90 days. The state appealed. In March 2006, the intermediate appeals court ordered the state to increase New York City schools’ annual operating funds by at least $4.7 billion per year, to be phased in over four years, and provide an infusion of at least $9.2 billion in facilities funding, to be accomplished within five years. The court set an April 1 deadline, and on April 1 the legislature enacted facilities funding that met the court’s requirement and will increase such funding for other school districts across the state. The state did not comply with the operational funding order. In November 2006, the Court of Appeals reaffirmed its 2003 landmark decision but held that $1.93 billion was the “constitutional floor” for additional operating funds, although the legislature could provide the full amount recommended by the Special Masters and the lower courts. In January 2007, the newly-elected Governor, Eliot Spitzer, recommended an increase in funding for New York City public schools of $5.4 billion (of which the City would be responsible for $2.2 billion) and $4 billion for the rest of the state. He also proposed a range of education finance and accountability reforms. The legislature largely accepted the Governor’s proposals. The new accountability requirements direct school districts receiving increases of 10% or $15 million in state aid ( including New York City) to develop “Contracts for Excellence,” detailing their plans for using the additional funding. 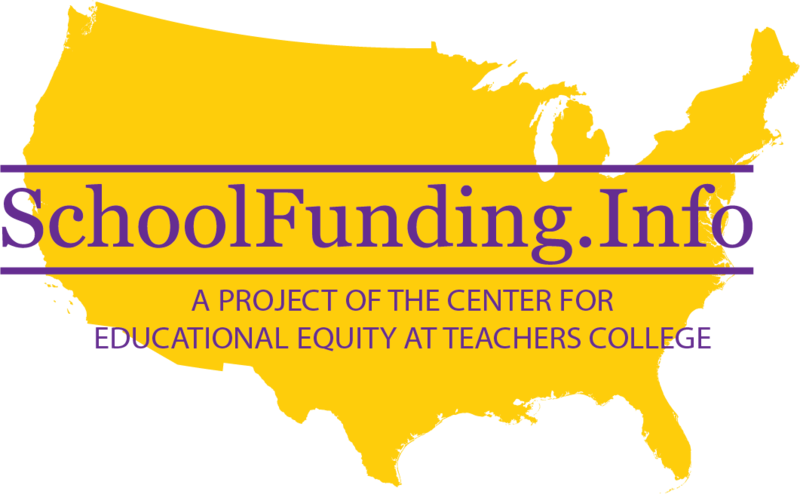 Under the legislation, the new funding must be devoted to programs related to “class size reduction, programs that increase student time on task, teacher and principal quality initiatives, middle school and high school restructuring, and full-day kindergarten or prekindergarten.” Districts are required to direct the new funding and these programs to students with the greatest educational needs. New York City is also required to develop a five-year plan for reducing class sizes. In a lawsuit in February, 2013, nine New York City parents and their children challenged the constitutionality of a state statute that required the revocation of $290 million in state aid to New York City because the city failed to reach agreement with the teachers union on a teacher evaluation plan by January 17, 2013, a deadline established by the governor. The plaintiffs allege that the students are innocent victims of a negotiating impasse between the city and the union for which they had no responsibility. The complaint charges the State of New York, Governor Andrew Cuomo, and Education Commissioner John King with depriving New York City kids of their right to a sound basic education. Aristy-Farer v. State of New York. imposing a penalty in the form of reduced funding and reduced educational services on public school students…violates the constitutional right of plaintiff students and the approximately one million other students attending the New York City public schools to a meaningful opportunity for a sound basic education and to due process and equal protection of the laws. The city’s department of education indicated that it would need to implement a hiring freeze that would increase class sizes, reduce school aide time, professional development, anti-bullying programs, pre-kindergarten special education, extracurricular activities, after-school and other programs as a result of the loss of these funds. State Supreme Court Justice Manuel Mendez promptly issued preliminary injunctions to prohibit the state from withholding the funds and the city from making the planned mid-term reductions in state services. The $290 million was, however, withheld at the end of the school year, and will affect school services for the 2013-2014 school year. New York State Supreme Court Justice Manuel Mendez denied the state’s motion to dismiss the case, Aristy-Farer v. State of New York  in April 2014. In September, 2016, the Appellate Division, First Department affirmed his decision. Judge Mendez has now consolidated this case with New Yorkers for Students’ Educational Rights v. State of New York, and the appellate division also affirmed the consolidation. In September 2014, the state teachers union and other plaintiffs challenging a state property tax cap enacted in 2011 by Governor Cuomo and the New York state legislature suffered a set-back when a state supreme court judge granted the state’s motion to dismiss the action. New York State United Teachers (“NYSUT”), along with eight individual plaintiffs, had sought to have the New York state tax cap declared unconstitutional as applied to school districts. The so-called tax cap, formally Education Law §2023(a), was enacted in 2011 to, in the words of Governor Cuomo’s spokesperson, “restore fiscal sanity to the state.” Accordingly, the tax cap requires localities seeking to raise real property taxes in excess of 2% or the increase in inflation in the base year, whichever is lower, to first obtain a 60% supermajority approval of voters or elected board members. Plaintiffs attacked the tax cap on numerous constitutional grounds, including violation of the state constitution’s Education Article and Equal Protection Clause, among other claims. The court interpreted both Board of Education Levittown Union Free School District v. Nyquist, 57 NY2d 27 (1982), and Campaign for Fiscal Equity v. State, 87 NY2d 307 (1995), to allow “disparities in educational funding among school districts arising from the State’s financing scheme [which are] rationally based upon and reasonably related to a legitimate State interest, the preservation and promotion of local control of education.”  According to the court, plaintiffs’ claims were a recasting of the rejected arguments in Levittown by “property-poor” districts that were unable to raise as much local tax revenue as “property-rich” districts, resulting in funding inequities. The plaintiffs are appealing that decision. Two additional cases, Paynter v. State and NYCLU v. State, were filed in 1998 and 2001, respectively, and alleged denial of the opportunity for a sound basic education. In 1998, the NYCLU  also filed a case in federal court, Ceasar v. Pataki, alleging violation of students’ rights under Title VI. In 2002, the federal district court for the Southern District of New York dismissed Ceaser v. Pataki; and the state court dismissed the NYCLU v. State case. On June 26, 2003, the New York Court of Appeals dismissed the Paynter case. Although the trial court judge had denied the state’s motion to dismiss the complaint, in October,2016, the Appellate Division, 4th Department, reversed that holding and dismissed the complaint. The appeals court stated that the purpose of the constitution’s sound basic education provision was “to constitutionalize the traditional public school system, not to alter its substance.” The Court held that if the traditional public school system offers students a sound basic education, “then the constitutional mandate is satisfied,” indicating that students who choose to go outside that system by attending charter schools that are “governed by an independent, self-selecting board of trustees and are exempt from a multitude of rules and regulations that are applicable to traditional public schools,” do so without constitutional protection. Fifteen parents from throughout New York State, along with a coalition of statewide education groups, filed a lawsuit in February 2014 on behalf of the state’s public school students, charging that the state is neglecting its constitutional obligation to ensure that every school has sufficient funding to provide all students a meaningful educational opportunity. The suit is being led by Michael A. Rebell, who successfully litigated the Campaign for Fiscal Equity (CFE)  v. the State of New York case. The suit alleges that, in many schools around the state, schools are unable to provide students with the full range of resources that are constitutionally required because of limited budgets. Basic state aid for school operations is now almost $4 billion below the amount that the legislature declared in 2007 was necessary to provide students the opportunity for a sound basic education in the CFE case. Following CFE, in 2007, the state legislature enacted reforms to the state aid system that promised students, not only in New York City, but throughout the state, billions of dollars in increased funding and a more equitable distribution of state aid. Since the recession of 2008, however, the state has not lived up to these commitments. The lawsuit asks the court to invalidate several caps and funding adjustments that the plaintiffs claim are unconstitutional on their face, and also seeks to ensure that now and for the future every school is provided adequate funding and is able to provide all students a meaningful educational opportunity. Defendants filed a motion to dismiss, which was denied by Manuel Mendez, Justice of the state Supreme Court in November 2014. His decision was affirmed by the Appellate Division, First Department  in September 2016. The Court of Appeals affirmed the denial of the motion to dismiss, with modifications in June 2017. Its decision held that plaintiffs could not assert claims on a general state-wide basis, but must prove that in particular districts students today are not receiving the opportunity for a sound basic education. The court found that plaintiffs had pleaded viable claims regarding the state’s failure to provide a meaningful opportunity for a sound basic education for students in New York City and Syracuse, and that the case can proceed to trial in regard to those districts. In order to maintain the state-wide focus in this case, plaintiffs filed an amended complaint in December, 2017 that adds to its claims about New York City and Syracuse additional specific allegations that students in a small city (Schenectady), a high need suburban district (Central Islip) and a rural district (Gouverneur) are also not currently receiving the opportunity for a sound basic education as required by the state constitution. 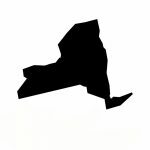 The amended complaint also updated and strengthened the allegations regarding resource deficiencies in New York City and Syracuse. The amended complaint further emphasizes that the State has failed to provide policies and resources to allow schools to prepare students properly to function productively as civic participants, the main purpose of a sound basic education, according to the Court of Appeals decision in the CFE litigation. More details about this case, including all court decisions and litigation papers, can be found at www.nyser.org. After largely complying with the funding increases required by CFE-inspired 2007 budget bill for the first, two years of the scheduled four-year phase-in, the state legislature froze further payments scheduled for 2009-10, and reduced allocations to New York City and other high need districts throughout the state in 2010-2011 and 2011-2012; they also enacted legislation delaying full funding of the scheduled increases, now until the 20015-2016 year. These issues are discussed in more detail in Michael A. Rebell,  Safeguarding the Right to a Sound Basic Education In Times of Fiscal Constraint. In 2009, a number of small city school districts filed an adequacy challenge to the state’s education funding system before the reductions in education funding were enacted, but later added allegations related to the cuts to their complaint, in a case then-captioned Hussein v. State of New York, Index No. 8997-08 ( S.Ct, Alb Co.). In June 2012, the Court of Appeals rejected a motion to dismiss filed by the state by a 6-1 vote and, through two concurring opinions, re-affirmed the substantive right to the opportunity for a sound basic education that it had articulated in CFE v. State of New York. The case was later renamed Maisto v State of New York. A trial was held in the spring of 2016. In September 2016, the trial judge issued a decision that rejected plaintiffs’ claims and dismissed the case (Maisto v. State of New York). The judge essentially ignored all of the evidence of inadequate educational inputs and below par educational outcomes that had been presented by the plaintiffs during the months-long trial; instead, she ruled as a matter of law that the state need not provide the level of aid that its own foundation aid formula had determined to be necessary to provide students the opportunity for a sound basic education. Plaintiffs appealed the state Supreme Court judge’s decision to the Appellate Division, Third Department. The appeals court unanimously decided in October 2017 to reverse the decision and send the case back to the trial court to issue specific findings on whether the plaintiffs had presented sufficient evidence that inadequate resources are a direct cause of the poor educational outcomes of students in those districts. The Appellate Division strongly rejected the notion there is a “post-CFE environment,” and the indication that the Court of Appeals’ approach to analyzing constitutional deficiencies in CFE applied only to that case. Noting that the Court of Appeals had recently re-affirmed the continued relevance of the CFE precedent for current litigations last June in its decision in Aristy-Farer/NYSER v. State , the Court held that Justice O’Connor must now review the voluminous evidence that the parties had presented and provide specific findings of fact for each of the eight school districts regarding the needs of their respective students and undertake an inputs/outputs analysis of the extent to which there is a direct causal link between insufficient state funding and the unsatisfactory performance levels of the students in those districts. In January, 2019, Justice O’Connor issued a 113-page opinion that again concluded plaintiffs had failed to meet their burden of proof and that the case should be dismissed. Judge Smith’s dissent in Paynter, which interprets the state Constitution’s Education Article (PDF).